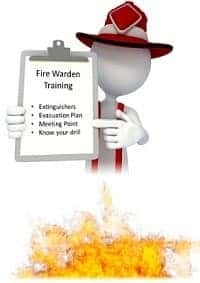 Fire Safety Certificate and Disability Access Certificate in Wicklow. We are experienced fire safety engineers in Wicklow. John has over 21 years ‘experience with local County Fire Services. We provide Fire Safety Certificates and Disability Access Certificates in Wicklow. Fire Safety Certification in Ireland. Preparation of Fire Safety Certificate applications for compliance with building control regulations in Wicklow. Pre-purchase property inspection in Wicklow. During construction surveys and monitoring of fire safety construction methods in Wicklow. Do you have Fire Safety concerns, regarding the property in Wicklow, you own or the property you are responsible for? Have you been visited by an officer from building control in Wicklow? Do you just want to have your property checked to make sure that it is Fire Safety Compliant in Wicklow ?